This ukulele method features clear, well-paced instruction that makes learning the ukulele easy and fun. 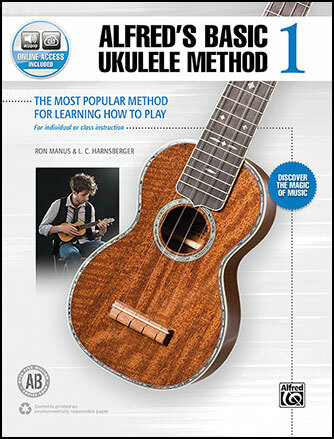 This book covers: how to hold your ukulele; tuning your ukulele; right- and left-hand techniques; the basics of reading music; chords; strumming patterns; songs; and how to read tablature. Includes access to companion audio tracks that can be downloaded or streamed online.